Learn, Laugh and Share! Discover the exciting techniques that exist in the world of machine embroidery. No projects to deal with, no homework to finish or supplies to bring! 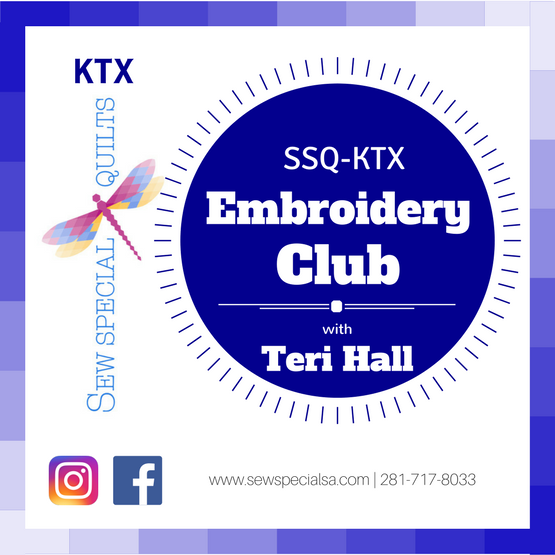 Club Embroidery is a lecture/demo format with something for every level of experience. Topics cover a range of what’s new to tips and tricks for the new and/or the experienced embroider. Open to all makes and models of embroidery machines, regardless of where you purchased or how old it is.